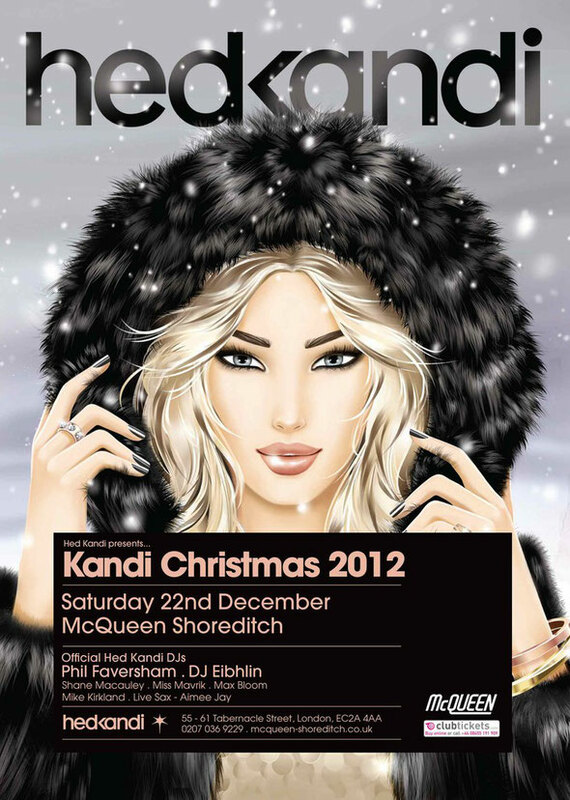 Hed Kandi heads up its party season by throwing its Kandi Christmas 2012 extravaganza at McQueen, Shoreditch, London EC2, on Saturday 22nd December. Hed Kandi’s Phil Faversham and DJ Eibhlin will headline, with DJ support from Shane Macauley, Miss Mavrik, Max Bloom and Mike Kirkland, and live sax by Aimee Jay. McQueen, will be hosting the house brand for the first time and with its extravagant décor and party atmosphere it is the perfect stage for Hed Kandi to organise a lavishly produced, glamorous event complemented by classic house and electronic music. McQueen was 2010 winner of London’s Best Bar at the London Club and Bar Awards. The Kandi Christmas 2012 event precedes Hed Kandi’s New Year’s Eve White Parties at 21 venues across the globe presenting Hed Kandi DJs and musicians. This year’s Christmas theme is “Kandi Caned” with Bells, Baubles & Candy Canes. Question… At which club did Hed Kandi celebrate 10 years in Ibiza last summer?